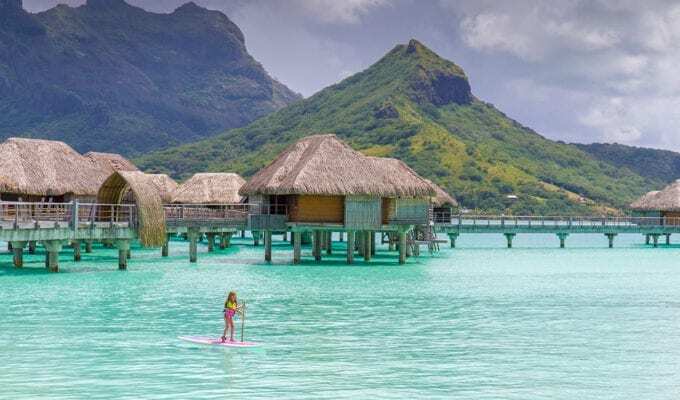 When Travelocity asked me to select 20 of my favorite family travel photos, I spent a lot of time narrowing down the list based on photos I liked and destinations I recommend. In the end I came up with 20 that I think sum up our family travels well – 7 continents, 17 countries, and a mix of islands, temples, cities, theme parks, deserts and nature. Some show hotels. Some show activities. 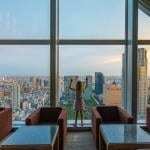 While I’ve never tried to do a definitive Best Places to Travel with Kids post, this list is a good start. I’ll post the first few photos below. My entire Travelocity post is here. And I included a note about finance at the beginning of the post, but I’ll reiterate it here: virtually all of these destinations are more affordable than you may think. Please don’t do a quick internet search for peak dates and then come back to me saying that the hotel is $1,000/night or flights are $1,200/ticket. I spend many hours trip-planning so that we can travel as inexpensively as possible. Please search my website for “affordable” or “frequent flier miles” to find my money-saving tips. 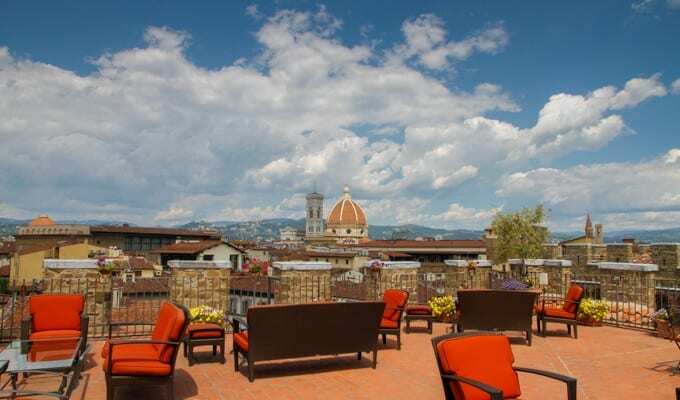 You may have to make some sacrifices to get a trip to fit into your budget, especially by looking at different dates or hotels, but it generally can be done. Mammoth Lakes is a perfect destination for a long weekend – in the summer for hiking and in the winter for skiing. Bring a hammock! You can see Kyoto‘s highlights, including Fushimi Inari Taisha and the Arashiyama Bamboo Grove, in just two days. If you have more time travel deeper and go outside the tourist zone. Regardless it’s a great destination for kids and adults. We love the Ngorongoro Crater. 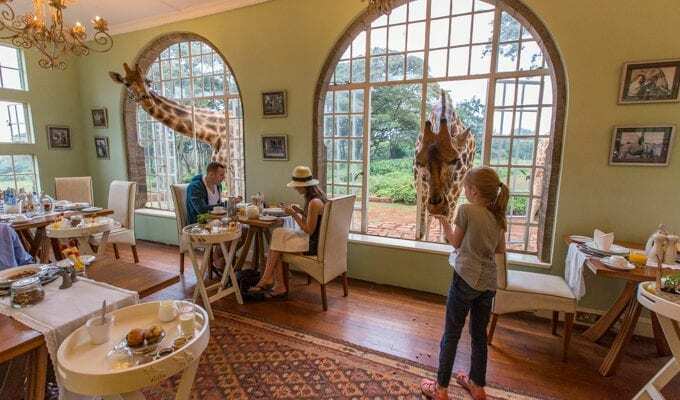 It’s not far from Arusha and the international airport, and the wildlife concentration is amazing – there’s almost everything in the crater but giraffes. There are more exotic/remote places to head on safari, but for kid-friendliness, Ngorongoro is excellent. Sydney has become a frequent family travel destination for us. My kids love the animals in Australia, and I love the sites and events, and Sydney is a direct flight from LAX. A bonus: Australia’s seasons are opposite those in the US, so a cold winter day at home can turn into a summer beach day tomorrow down under. Chile’s diversity is incredible – from Patagonia‘s mountains and lakes to Santiago‘s markets to the Moai of Easter Island. 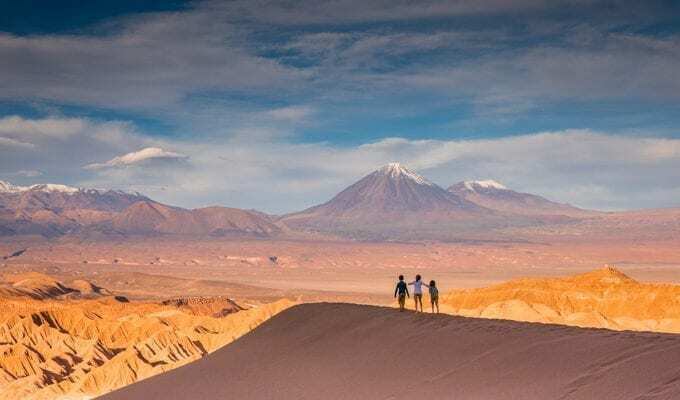 Our kids’ favorite destination in Chile, though, is the Atacama Desert. 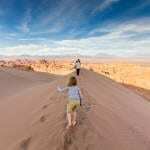 They particularly loved the desert hikes and sand dunes. Click HERE to see the next 15 inspirational photos on Travelocity’s Inspire Hub.